Once you get past developing and manufacturing your new product, and landing early customers, inventory becomes the biggest threat to your startup’s survival. To be a successful hardware startup you ultimately must learn to efficiently manage inventory. Some wise advice is to never purchase inventory unless you have orders in hand. The catch-22 is that you usually need inventory in order to get new orders. Many customers won’t give you an order until you have inventory already in stock ready to ship. This is especially true if you have no proven sales. I suggest a two-stage strategy. Start by using a U.S. manufacturer, purchase a small amount of inventory, and sell to smaller customers. Use this stage to work out all of the kinks and to prove your product will sell. Once you have successful sales and things are flowing smoothly, then find an off-shore factory. Let’s say you order lots of inventory, but then find an issue with your product, or an improvement that will increase sales? I found that retail packaging required several tweaks to improve sales. Although I had done many online surveys testing package designs, it didn’t perfectly simulate a real retail environment. I constantly wanted to make improvements to the product or packaging that would boost sales. But with limited capital I couldn’t afford to purchase new inventory until I sold the old. This limitation slows down any product or package improvements. The biggest issue with inventory is how it negatively impacts your cash flow. The majority of factories require you to pay upfront for anything you want them to produce. At a minimum, most require 30-50% upfront. On the other side of the equation are your customers who require payment terms of at least 30 days. This means you won’t get paid by a customer until 30 days after they receive your product. Your manufacturing time, plus the time to ship your product from Asia to the U.S., plus payment terms of 30 or more days, all adds up to a 3-4 month delay before you ever get paid. How do you avoid this big mess? Attack this problem from two angles – your customers and your manufacturer. One option is to target only really big retailers. A big customer like Home Depot or Wal-Mart will generally order enough to place an import order. If an order is large enough a retailer expects that it will come directly from the supplier’s Asian factory (an import order). Typically, the retailer will even take ownership of the product as soon as it’s loaded on the boat (called F.O.B or Free-On Board). You never have the expense or risk of taking ownership. They also pay you immediately upon shipping, allowing you to pay your manufacturer quickly without having to finance the order! There are other benefits to finding big-name customers. Most large retailers work on a longer schedule so they don’t mind ordering a product that won’t be ready for months. Manufacturers might also offer you better financing terms if you hold a PO from a big company. Another option is selling to customers outside of the U.S. They are accustomed to importing most products directly in order to get the latest and greatest products. Not only can a manufacturing partner help you develop your new product, they can also help finance your inventory by offering better payment terms. If they really believe in your product, and you sign an exclusive with them, they are more likely to negotiate on the payment terms. I was able to find and convince a manufacturer to give me payment terms of 90 days. I was paid by my customers first which was a huge boost to my cash flow. Manufacturer terms of 90 days are not real common. I had to contact a lot of manufacturers to find one that really believed in my product so don’t settle for the first one! You need the right customers and the right manufacturer to avoid the pitfalls of inventory. 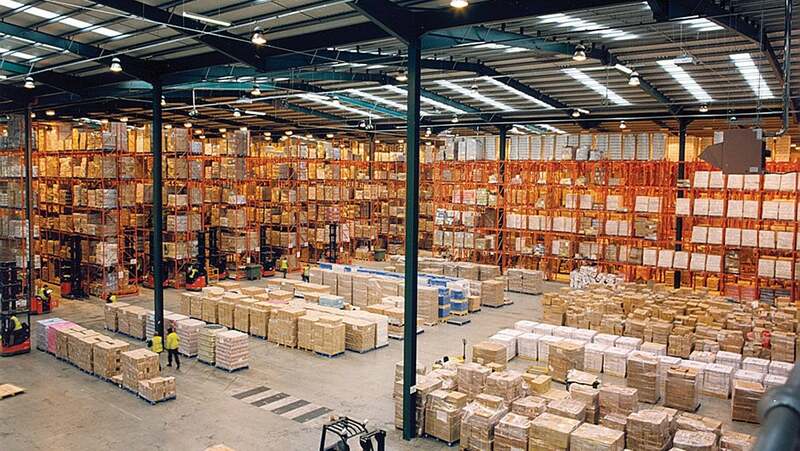 Avoiding unnecessary inventory makes you a leaner, more responsive company while reducing your risks and costs. Who doesn’t want all that?